Delivers top quality performance with affordable technology at the right price. 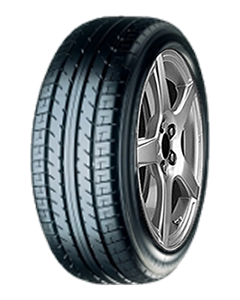 Utilises the latest Toyo technology to maximise safety, performance and fuel economy. Features a non-directional tread pattern with wide circumferential grooves which provide low noise levels and excellent aquaplaning resistance. Siping of shoulder tread blocks on the tyre improve traction on low-grip sealed roads. Designed with a casing construction which provides excellent stability and sharp steering response.